Cesar Montelongo Hernandez remembers when his parents made the risky decision to overstay their migrant worker visa and keep the family in the U.S.
"[They] will now face uncertainty about completing their degrees, paying their student loans, and serving patients," James Madara, chief executive officer of the American Medical Association, wrote in a letter to Congressional leaders. 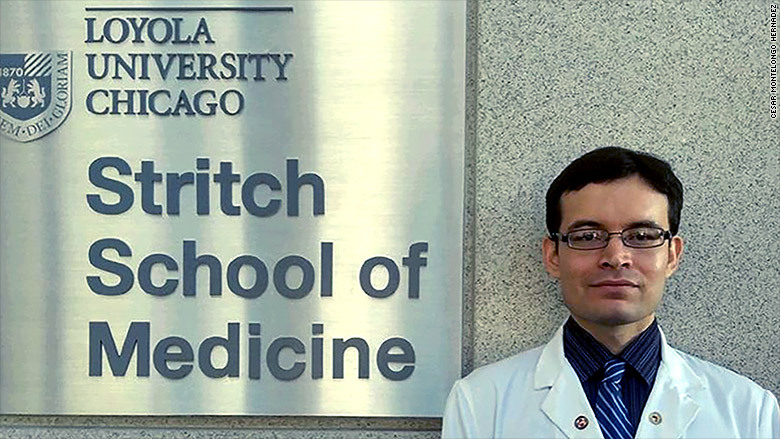 Cesar Montelongo Hernandez is a DACA status student on full scholarship at Loyola University's Stritch School of Medicine. 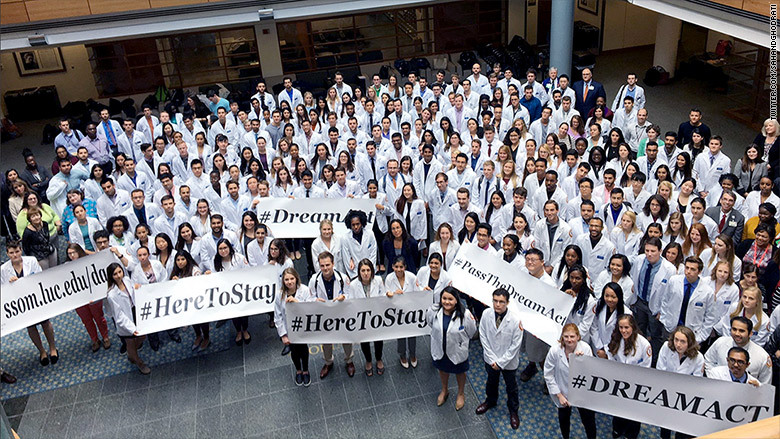 Loyola University medical school students held a rally Wednesday to support fellow students with DACA status. 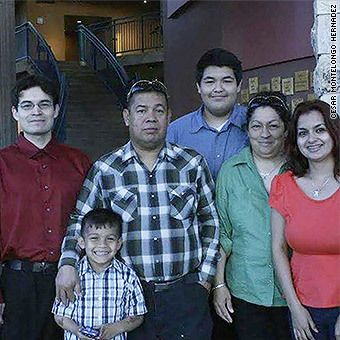 Montelongo Hernandez [left] with his parents and siblings. "During recess I would just sit by myself," he said. "[I] kept to myself because I felt sad. In some ways I guess I was depressed." 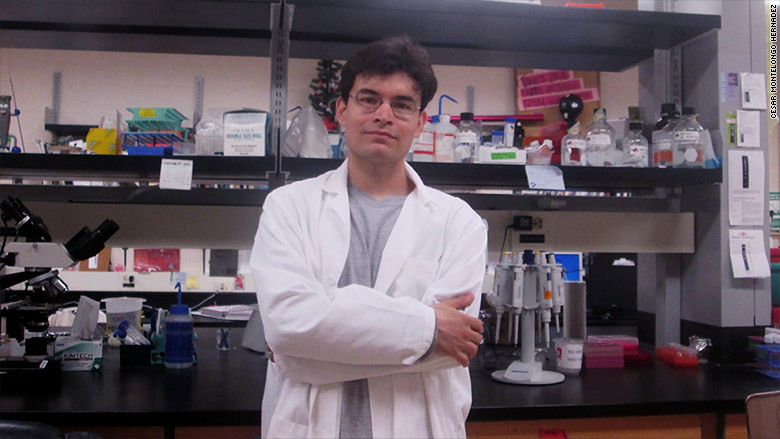 Montelongo Hernandez in a lab at New Mexico State University, where he attended undergrad on a full scholarship. Montelongo Hernandez has six years left in medical school. But his future is uncertain. 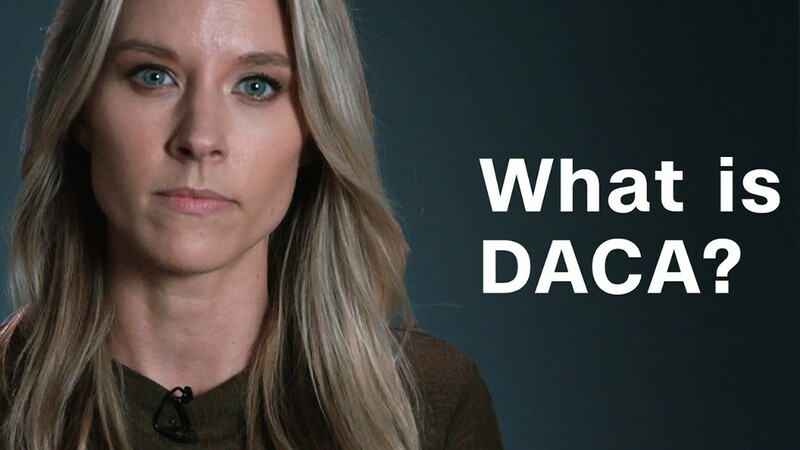 While both of his parents were able to get permanent residence status through green cards, he and his sister remain in limbo.